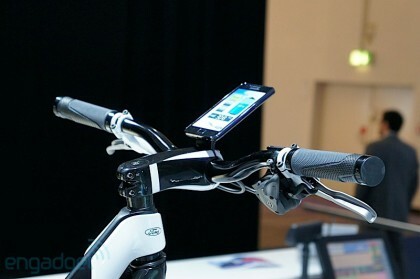 Designed to show how the company's design language can translate to a bicycle, the Ford E-Bike Concept also demonstrates the spectrum of Ford's electric mobility competence. Ford has no plans to produce the E-Bike but will continue studying the concept along with other future mobility solutions. “The E-Bike market is growing very, very rapidly, with some 30 million units sold globally last year,” said Axel Wilke, director, vehicle personalisation, Ford Customer Service Division Europe. 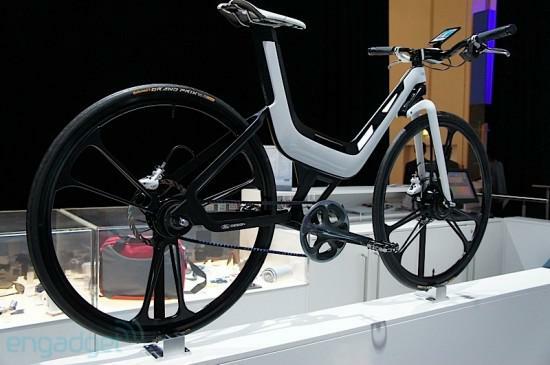 “We see E-Bikes as an important element of urban electric mobility. More and more people are using E‑Bikes for short distance commuting and they are becoming comfortable with the concept of electric mobility." Developed by a Ford Design team led by Executive Design Director Martin Smith, in partnership with cyber-Wear, the German brand behind Ford's popular Lifestyle Collection products, the Ford E-Bike Concept has been created from the ground up to appeal to both men and women. At the heart of the design is a trapezoidal frame profile. Constructed from aluminium and carbon, the frame combines outstanding strength with a weight of just 2.5kg. The wheels, with a six-spoke V-design, appear to float around the frame, while the drive system is hidden from view, creating a clean, minimalist appearance. Providing the power is a drive system consisting of a motor in the front wheel hub, a lithium-ion battery concealed in the frame, promising a range of up to 85km on a full charge, an integrated controller and patented magnetostriction sensor technology from the world of Formula One. Magnetostriction materials are used to convert magnetic energy into kinetic energy, and vice versa. In Formula One, these sensors help handle high engine revolutions in combination with intense thermal strains. They need no physical contact with other parts of the engine, are temperature-independent and are completely maintenance-free. In the Ford E-Bike, the first application of this technology in the bicycle industry, the sensors read the revolutions in the inner bearing and relay this information to the control unit within a hundredth of a second. The control unit then instantly activates or deactivates the electric motor, providing a seamless integration of the power of the legs with the power of the motor. A handlebar-mounted display provides trip information and allows the rider to select from three support modes – Economy, Comfort and Sport. The drive system is complemented by top-of-the-range bicycle components, including a Shimano Alfine 11-speed internal gear hub and a 2012 Shimano Rapidfire shifter. In place of a traditional chain is a Carbon Belt Drive System, making for a cleaner, lighter and more immediate transfer of energy. "With its cutting edge design, cross-gender appeal, robust build quality and high performance drive package, we believe the Ford E-Bike Concept would be the perfect addition to the e‑mobility solutions we will offer," added Wilke. Extremely small unit to connect battery (remains on bike) to normal mains network.